Select can manage all aspects of your fire damaged property to get you back in your home or business faster including: smoke, soot and odor removal, complete structural repairs, rebuilds and renovations. We offer 24/7 emergency water damage cleanup services, call now! Let our water restoration services help you clean-up, dry-out, sanitize, disinfect and repair your property quickly and correctly. Storm Damage can cause major damage to your property and damage is not always apparent. It is important to have your property inspected after any kind of storm. We repair roofs, windows and siding. Insurance Companies have adjusters working for them to minimize your claim / Let our certified team go to work for you to maximize it. We make sure you get everything due under your insurance policy! Don’t let your insurance company dictate your settlement! Let us Get you The Payment You Deserve! 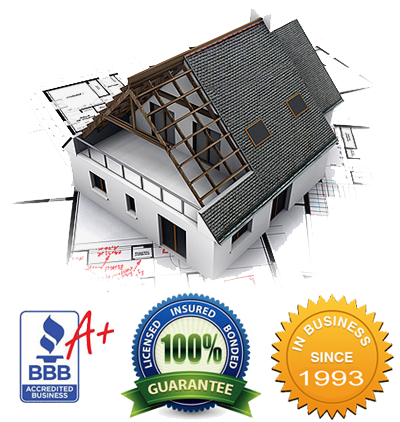 We specializes in maximizing insurance claim’s for property Damage here in Michigan. We Are NOT A Franchise, Select Restoration, A TRUSTED Shelby Twp MI Restoration Contractor, has built it’s reputation, not bought it! We have met the disaster restoration and remodeling needs of customers in Michigan since 1993. From fire, water & storm damage restoration to home improvements & renovations, the background and experience our team assembles is unmatched. Our strength lies within our dedicated team of professionals. Each specialist comes from a diverse background in the building & architectural fields and seeks progressive education in the field of property damage restoration and specialty cleaning. Fast 24/7 Emergency Response We can be on-site in 60 minutes or less to your Shelby Twp MI Property. Our Team We are a family run business with over 23 years of in business experience, every team member is licensed, bonded and certified. When you choose Select Restoration to restore your property, you will have a team of building professionals on your side providing excellent customer service and a quality end product that is completed on time and within budget. Insurance Claim Specialists Our main goal has always been helping our clients obtain the best settlement they are entitled to under their policy, guiding them through the entire insurance claims process and speeding up their recovery. Let Select Restoration Put You On Your “Road To Recovery”. If You Have Questions About Your Insurance Claim, Need Help Deciphering Your Policy Coverage, Or are in Need of Property Damage Restoration Services in Shelby Twp MI, We Are Here To Help 24/7. Contact us Today For A Free No Pressure Consultation or Fill Out The Form on The Right and One of Our Certified Team Members Will be Glad To Assist You!